Wat is dit voor site? Wij zoeken de goedkoopste boeken op internet. What Does the Lord Require?vonden we het goedkoopst op Bol.com voor €22.99. We hebben gezocht in nieuwe en tweedehands boeken. Rechtsonderaan de pagina kan je het boek direct bestellen	via Bol	.com. How applicable is the Bible's moral standard to the complex issues we face today--like stem cell research, euthanasia, gambling, and environmental care? How does a person use Scripture to make ethical decisions? And how do we teach people to think biblically about ethics? 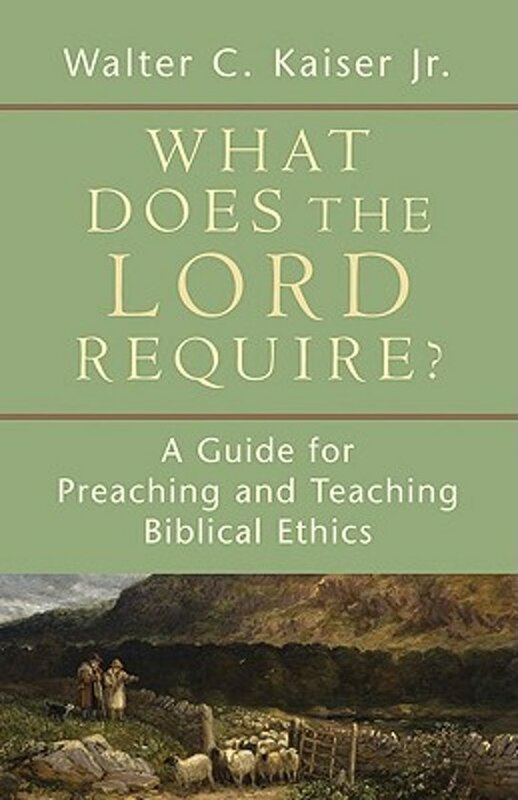 Experienced Bible teacher Walter Kaiser answers these questions by demonstrating how, connecting eighteen key teaching Scriptures to eighteen tough ethical issues. Some examples include connecting poverty and orphans with Isaiah 58:1-12, genetic engineering with Genesis 1:26-39 and 2:15-25, and cohabitation and adultery with 1 Thessalonians 4:1-8. The result is a stimulating resource and guide for preaching and a solid foundation for developing Bible studies. Each chapter also includes concluding points, bibliography, and discussion questions.